Written for the Sonoran Desert and Maricopa County. Need help Pruning? Watering? Selecting Plants? Citrus? or 8 other topics? Feel free to browse, search and download these how-to publications. Hover your cursor over a title for a popup summary of that publication. Please note we are working on this area of our website and hope to launch the ability to search and reorder the information. Certain fertilizer nutrients can be harmful for animals and humans if they enter groundwater or surface water sources. Nitrate is the fertilizer nutrient that most often causes water contamination problems. This publication asks you to answer questions to help you determine whether your fertilizer storage and handling practices may pose a risk to groundwater. 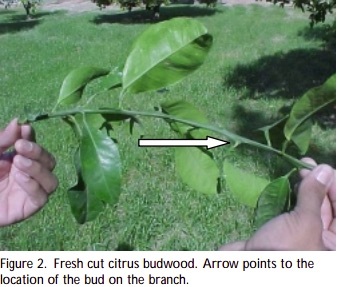 This publication provides Arizona gardeners and homeowners with practical instruction on how much commercial fertilizer to apply to their citrus tree, and when to make those applications. Author: Wright, Glenn C., McCloskey, William B. When choosing a variety of citrus to plant in your yard consider: what you like to eat; when you want to harvest; and how cold it gets in your yard. Citrus trees are not particularly cold hardy, but they are most likely to survive cold temperatures if they are planted in the proper location. This publication focuses on how to help citrus trees survive the winters of Arizona. Topics include site selection and long-term / short-term strategies used to protect citrus trees from frost and freeze. Publication contains an introduction to the rationale for pruning as well as sections on when to prune, what part of the tree to prune, techniques for best pruning, and how to protect the tree following pruning. Six illustrations are included. An overview of Arizona's native plant law. Describes categories of protected native plants with examples, and how to access the full lists of protected plants. Selection, planting and care for cacti, agave, yucca and ocotillo. Includes pest information and state plant protection laws. Author: Fletcher, Della C., Waterfall, Patricia H.
Propagation of agaves and cacti from seed and cuttings is an easy-to-accomplish process. Cuttings and seed sown during the appropriate time of year using the methods discussed will produce numerous progeny. Problems and pests of cacti, agave, and yuccas. Barrel cactus and Saguaro (Carnegiea gigantea) are easily transplanted. Procedures for safely and successfully moving these plants are discussed in this bulletin. 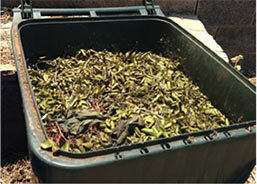 This publication describes growth habit and characteristics of mesquite and Palo Verde trees for the urban landscape. Culture and problems are discussed. Revised 4/2012. Originally published: 2003. Author: Schuch, Ursula K., Kelly, Jack J. There are many native and non-native pines to choose from in Arizona when selecting a tree for ones yard or landscape. This publication discusses tree selection, planting, pruning, problems and 17 species of pines that are common in Arizona. As long term investments, trees are expected to provide benefits for extended periods of time, usually decades. Trees planted in locations where they cannot survive or where they create problems rarely stay in place for any length of time. Trees experiencing shortened lives waste money, create hazards, and fail to perform their intended horticultural function. The bulletin highlights the importance of selecting a tree right for the location in which it will be planted. Key suggestions for making sound horticultural decisions along with ten examples of trees planted in locations where problems can far outweigh the benefits are presented. The majority of tree and shrub roots lie within the top two feet of soil and extend one and a half to four times the width of the crown, the above ground portion of the plants. These roots hold the plant in place and absorb most of the water and nutrients. Steps taken during planting to encourage the growth of these roots can reduce establishment time and improve plant survival and stability. This publication provides information on material requirements, drainage test, and other issues to consider when planting trees and shrubs. Revised 11/2012. Originally published: 1998. Cacti, agaves and yuccas are classified as succulents, plants that have highly specialized anatomical features such as thick waxy cuticles, fleshy or minimal leaves, modified leaves (spines), and roots with extra storage capabilities for food and water. These modifications allow them to survive and thrive in harsh desert environments. They survive long periods of drought in areas of sparse rainfall and intense heat. During stressful periods, many succulents cease to grow, drop unnecessary leaves, dehydrate and become dormant until conditions for growth return. Despite their adaptations, succulents suffer from diseases, insect pests and cultural problems. Some of the more common problems that occur in cacti, agave and yuccas in Arizona are discussed in this bulletin. Author: Kelly, Jack, Olsen, Mary W.
Pruning recommendations for shrubs commonly planted in the low and mid-elevation desert in Arizona are given based on the intended use and individual plant growth characteristics. This publication presents reasons for pruning, and how and when to prune. Pruning recommendations of individual regional plants are provided and shrubs for formal and informal hedges are listed. This slide presentation is intended to educate profesisonals in the nursery and landscape trade and lay people interested in proper horticultural practices related to selecting, planting and staking trees. Home Owners Association boards make landscape maintenance decisions that affect the entire community. Landscape aesthetics, safety and costs are major factors in this decision making process. This presentation highlights seven principles that should be considered in this process: 1. training, experience and credentials of contracted landscape maintenance professionals, 2. monetary value of woody plants, 3. natural form and function of plants in the landscape, 4. proper pruning procedures for safety and plant health, 5. plant debris management and soil health and air quality, 6. the use of desert adapted plants and 7. installation and maintenance of adequate irrigation systems. Once you know gardening basics, it�s fun to be creative! Many parts of your classroom curriculum can be incorporated in gardening. You can plant Butterfl y Gardens, Bat Gardens, Pizza Gardens, Salsa Gardens, Dinosaur Gardens or build Sunfl ower Houses with your younger students. A simple idea like an ABC garden with a plant to match each letter can make learning the alphabet a bit more interesting when you break up the day by visiting your garden. It�s an ideal situation for an older class to organize for the younger children in the school. Beet curly top disease is caused by Curtoviruses, a group of viruses transmitted by the beet leafhopper (Circulifer tenellus). It occurs in many different plants in Arizona including tomato, pepper, cucurbits, spinach, and beets. The viruses also are differentially hosted by many other plants including alfalfa and many weeds. The Curtovirus group currently consists of seven viruses -- Beet curly top virus (BCTV), Beet mild curly top virus (BMCTV), Beet severe curly top virus (BSCTV), Pepper curly top virus (PCTV), Pepper yellow dwarf virus (PYDV), Spinach curly top virus (SCTV) and Horseradish curly top virus (HrCTV). When more than one of these viruses infects a plant, they readily exchange genes and recombine, so variations in their incidence are common. Curtoviruses and their only known vector, the beet leafhopper, are native to the western United States. In recent years, curtoviruses have resulted in significant losses in table beet and spinach plantings in Arizona. The Curtoviruses associated with spinach and beets in Arizona during 2009-2010 are identified in this bulletin along with other non-symptomatic hosts that harbor the viruses. Knowledge of host range and location are useful for efficacious weed control and reduction in disease severity. 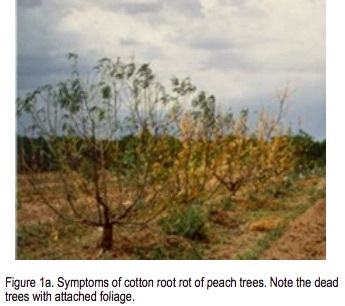 The most important disease of woody dicotyledonous plants in Arizona is Phymatotrichopsis root rot (Cotton or Texas root rot) caused by a unique and widely distributed soil-borne fungus, Phymatotrichopsis omnivora. The fungus is indigenous to the alkaline, low-organic matter soils of the southwestern United States and central and northern Mexico. Revised 02/2015. Originally published 2000. Damping off is caused by several different fungi under different environmental conditions. The fungi include Pythium, Rhizoctonia solani, and Thielaviopsis. Revised 1/2011. Originally published: 1998.basicola. This article discusses the symptoms, environmental conditions, diseases, prevention and control methods for the damping-off caused by fungi. Nutrient deficiencies can be identified in field through visual observations. However, additional analysis, either plant or soil testing is often necessary to confirm nutrient stress. The following is a quick-reference flow chart that can be used in field to identify potential nutrient deficiencies. Each nutrient has unique deficiency symptoms. Deficiencies will appear in many ways. It can be confused with other plant problems like pathogens or spray damage. But nutrient deficiencies can often be recognized because they tend to form symmetrical patterns, where both sides of leaf or plant parts show the same pattern. Troubleshooting Problems with Roses in the Low Desert. This publication contains guidelines for identifying and managing pests and diseases of Roses. Dwarf mistletoes are parasitic flowering plants that grow within host plants for about two years before producing characteristic yellow to orange or green to brown leafless aerial shoots on the outside of infected host tissue. They occur only on conifers in the pine family in Arizona and are usually host specific. This article gives information about the disease cycle, the symptoms and prevention and control methods for dwarf mistletoes. Plants need the right combination of nutrients to live, grow and reproduce. When plants suffer from malnutrition, they show symptoms of being unhealthy. This publication provides information on the patten of symptoms and the treatments for plant nutrient deficiencies. 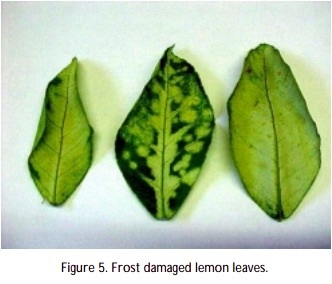 Powdery mildew, a plant disease, appears as white, powdery spots on the leaf surface of several different kinds of plants. They are specific to their hosts and one type will infect only certain plants, usually those in the same or closely related plant families. This publication discusses the symptoms, environmental conditions, disease of powdery mildew and the methods used to prevent / control this plant disease. Iron deficiency is a frequent problem for many ornamental plants growing in the low desert areas of Arizona. The underlying cause for this disorder is the high pH levels of our soils. Calcium carbonate (CaCO3) deposits are a common feature of high pH desert soils. Calcium carbonate accumulates in desert soils because precipitation is not sufficient to wash or leach these naturally occurring materials out of the soil. Calcium carbonate may be visible as light colored concretions (lumps) which range in size from less than one inch to several inches across or as a solid layer, ranging from a few inches to several feet in thickness, although calcium carbonate is often present even when it is cannot be seen. If these deposits form solid layers they are known as caliche. When calcium carbonate dissolves in water, it raises pH to 8.0 to 8.5, and this is the pH range of most desert soils. In this high pH environment, iron solubility is greatly reduced. In desert soils there is usually plenty of iron; it just is not soluble enough to provide adequate nutrition to susceptible plants. Over-watering plants growing in calcareous soils can induce or worsen iron deficiency. Additionally, cold winter soils may induce iron defi ciency, which often disappears when soils warm in the spring. Revised 1/2013. Originally published: 2006. Mesquite (Prosopis sp.) is a popular tree in landscapes in Arizona because of its drought tolerance and attractive growth habit. Powdery mildew has been observed from late summer until early spring on mesquite leaves. It has been identified as Pleochaeta polychaeta based on morphological descriptions and comparison to herbarium specimens. Surveys were conducted in fall 2008 through winter 2009 at two locations in southern Arizona to determine the susceptibility of different mesquite species to powdery mildew. 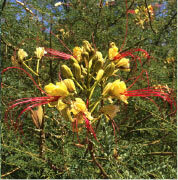 Twelve mesquite trees representing two species were sampled at Texas Canyon near Willcox, AZ, and 177 trees representing eight species were sampled at the University of Arizona campus in Tucson, AZ. The North American mesquite species P. glandulosa var. 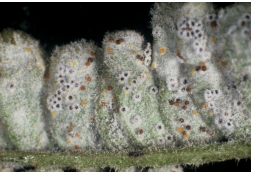 glandulosa and P. velutina were infected with powdery mildew at the University of Arizona campus and P. velutina at the Texas Canyon site. No powdery mildew was observed on P. alba, P. cinerea, P. nigra, P. chilensis, P. pubescens and P. chilensis x flexuosa. The powdery mildew affects the aesthetic value of severely infected trees but seems to have little effect on long term tree health. Author: Nischwitz, Claudia; Olsen, Mary W.
Verticillium Wilt causes wilting and yellowing of leaves, death of limbs, often on one side or a portion of the plant. This article provides information on the disease caused by Verticillium Wilt including the host, symptoms, environmental conditions, disease and the preventing / controlling method. A Firewise landscape in Arizona may include native and non-native plants as well as a variety of mulch materials. The goal of Firewise landscaping is to prevent home ignitions by using plants and mulch to reduce the spread of fires near structures or other improvements. We tested the flammability of eight mulches to determine those that are best suited in Arizona landscapes. Straw and pine needles are the most flammable with sod, decomposed granite being the least. The other tested materials offered good resistance against fire and are recommended for most mulching situations. Revised 10/2014. Originally Published 2007. Fire is unpredictable. It can find the weak link in your home's fire protection scheme and gain the upper hand because of a small, overlooked or seemingly inconsequential factor. While you may not be able to accomplish all measures below, each will increase your home's, and possibly your family's, safety. Start with the easiest and least expensive actions. Begin your work closest to your house and move outward. Keep working on the more difficult items until you have completed your entire project. Arizona's population is growing, its urban areas and its communities in rural areas are rapidly expanding, and people are building more homes in what was once natural forest, grass and shrub lands. Thus, it is important people know how to correctly landscape their property to reduce wildfire hazards. Improper landscaping can greatly increase the risk of structure and property damage from wildfire. It is a question of when, not if, a wildfire will strike any particular area. This publication provides a wildfire protection checklist for homeowners. There are many types of beautiful flowers that can be grown in the low desert. Use this chart to plan for year round color and interest in your yard. Select plants that will do well in our climate and meet your individual needs. Includes tables for choosing flowers based on color, height, days from seed to bloom, light needs, water needs, growing difficulty, lures, and special characteristics. Also includes planting and flowering dates. This publication contains guidelines for watering, cultivating and fertilizing roses. It also contains Monthly check sheet for rose care. Guide to selecting deciduous fruit tree varieties including apples, apricots, figs, peaches, pears, asian pears, persimmons, plums, quince, almonds, pecans, grapes, kiwi, blackberries, strawberries. Includes harvesting schedule, chilling hours and pollination type. A homeowner's guide for growing blackberries in the low desert. This publication will help home gardeners grow figs. It includes cultural care as well as pest management. Growing table grapes is fun and easy because they do well in most soils and are suited to Arizona�s diverse climate. Choosing a site with full sunlight, selecting the right variety, and caring for the vines properly will produce tasty fruit. Vines require several years from time of planting to the first harvest. Full production can be obtained in five to six years. Vines can survive for 50-100 years if properly cared for. Grapes require special care for maximum production of excellent quality fruit. The most important practice is the training and pruning of vines once they are established. Strawberries are easy to grow. They provide the first fruit of the season, and are quick to bear. When harvested fully ripe in the home garden they have excellent flavor. In stores they can be expensive and are often harvested prior to being fully ripe. Various types of strawberries are available. Each type has specific environmental requirements such as temperature and hours of daylight for good production. With the wide range of climatic zones in Arizona it is important to choose the right type of strawberry for your growing conditions. Training and pruning newly-planted deciduous fruit trees is one of the most important steps in developing trees with a strong framework (scaffold branches). Trees with a good framework of branches can support heavy crops without limb breakage and will help to bring the young tree into production at an early age. Selection and arrangement of these branches determines the type of development and growth in later years. The goal of pruning and training is to balance vegetative and fruiting wood growth. The most difficult part of conversion from a lawn to a low water (xeriscape) landscape is the removal of a lawn. By removing a Bermuda grass lawn, it is estimated that water savings of 50 -75% is possible. Potential water savings comes from the fact that water is applied to a limited amount of total yard space, compared to the greater water needs of a continuous grass-covered area. Also, by planting low water use plants, less maintenance is required and substantial cost savings can be realized. Turf removal and subsequent weed suppression is achievable using readily available herbicides. Phoenix area turf managers now have access to FREE turf water use information via fax, email or the Internet. This free service is provided by the Arizona Meteorological Network (AZMET) which generates turf water use estimates using data collected from a network of automated weather stations located in the Phoenix area. Signing up for this free service is very easy. This publication provides the details you need to sign up for this free turf water use information service in the Phoenix area. Persistent woody plants can sometimes conflict with gardening and landscape goals. In many cases, plant removal becomes necessary. This may be accomplished through manual stump removal or the use of herbicides. With some knowledge of the life history of the target plant, cut stumps can be safely and effectively treated with herbicides to prevent regrowth. Species lists, safety tips, examples, photos, and non-herbicide alternatives are provided to ensure optimum stump killing success. Almost any indoor environment is more pleasant and attractive when living plants are a part of the setting. Real enjoyment and consistent success with indoor plants depends on selecting the right plant for a given environmental situation. This publication helps readers to select and grow indoor plants by addressing the issues of; light, temperature, humidity, soil, water, fertilizer, and other conditions . Evergreen shrubs used to landscape the home grounds should be permitted to grow and develop into their natural shapes. Natural growing shrubs lend a pleasing look to the home grounds. This does not mean that we cannot prune to keep them within limited bounds, but we should definitely not prune to formal shapes such as globes, squares or pyramids. If they are pruned in this manner, they must be constantly sheared to maintain these shapes. An ideal hedge for screening patio areas should have dense foliage from the base to the very top of the plants. In order to develop a hedge with these qualities, the gardener should prune the plants in such a manner as to encourage the plants to develop branches and leaves at the lower portion at the time of planting and until the desired height is reached. The procedures for pruning shrubs are simple, but in many instances the basic principles are overlooked or not put into practice simply because the gardener does not want to sacrifice the growth of the plants before they reach the desired height. 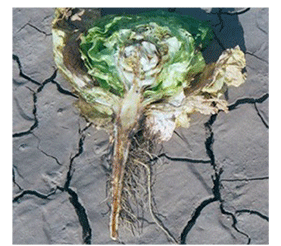 This publication provides information on the development and management of Fusarium wilt of lettuce. Topics covered include the characteristics of the plant pathogen, disease development, and disease management considerations. Bugs @ Home series Formerly titled: Insect Repellents; This publication describes how to use insect repellents safely and effectively. It offers comparisons between repellents available to the public and gives advice on which products are suitable for children. One would not suspect that an insect with the congenial nickname of kissing bug could cause life-threatening allergic reactions (anaphylaxis) in sensitive individuals. 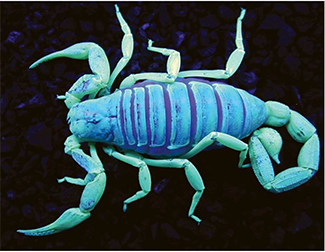 But anaphylactic shock can be the result of the bite of Triatoma species, also known as the conenose bug, kissing bug, assassin bug, Mexican bedbug, and the Wallapai tiger. 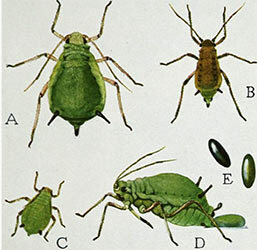 This publication discusses the identification, habitat, and the conenose bite of this insect, as well as the controlling method used to reduce theie numbers. Author: Cordell, Susan, Baxter, T. P.
Cypress bark beetles (Phloeosinus cristatus (LeConte)) are native insects that occur throughout Arizona. They are common in the Verde Valley, Prescott, Payson, and Kingman areas. Under natural conditions, most bark beetles act as natural thinning agents that remove dying, overcrowded, and unhealthy trees. 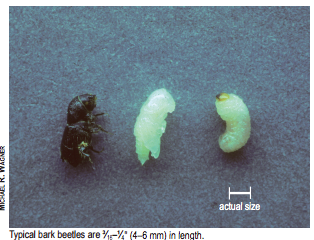 Cypress bark beetles seldom cause mortality in healthy, vigorous trees. However, when host trees are drought stressed, bark beetle populations increase allowing the beetles to colonize seemingly healthy trees. Fall webworms are caterpillars that commonly defoliate many species of broadleaf deciduous trees. They also attack fruit, nut and ornamental shade trees and shrubs, including pecan and mulberry. Fall webworms are native to North America and are present throughout the country. Activity in the state has appeared to increase in recent years, both in geography and host species.This insect�s most obvious sign is the caterpillars� communal silken web that can be seen at the ends of the branches during late summer and fall. Damage does not usually cause serious stress to trees. Treatment is not typically prescribed, especially in natural settings. Integrated Pest Management (IPM) is the safest and most effective pest management approach that relies on a combination of common-sense practices. The goal of an IPM program in a school environment is to make the site a safer, healthier place to learn and work. Pest complaints and pesticide use in schools and other public buildings have been reduced by 71 to 93% through IPM, with no long-term increase in costs. Mosquitoes are one of the most important insect pests that affect the health and wellbeing of humans and domestic animals worldwide. They can cause a variety of health problems due to their ability to transfer (vector) viruses and other disease-causing pathogens even in the arid Southwest. 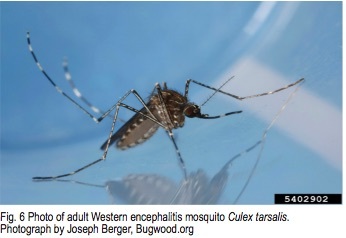 Female mosquitoes require a blood meal for egg production, and they can produce a painful bite as they feed. While feeding they can transmit to humans and other animals─brain inflammation (encephalitis), dengue fever, yellow fever, malaria and filariasis. The most susceptible to the effects of these mosquito-borne pathogens are children and the elderly. However, in some instances life-threatening illness and/or permanent debilitation can occur in infected human hosts of any age. Revised 10/2013. Originally published: 2001. Many pests encountered in homes and structures can be prevented by using simple techniques collectively known as �pest-proofing�. If done correctly, pest-proofing your home saves you money by reducing pest management costs, and more importantly, reduces potential pesticide exposure. This publication describes general indoor and outdoor pest-proofing measures and some of the major pests encountered in and around homes and structures. Pesticide drift is the movement of airborne spray droplets, vapors, or dust particles away from a target area. Pesticide drift can be difficult to manage because the full range of drift cannot be detected visually. This publication addresses factors affecting pesticide drift, the buffer zones and outlines the recommended procedures for reducing drift damage. Author: Cordell, Susan,, Baxter, T. P.
Pine bark beetles in Arizona are generally of the genus Ips or Dendroctonus. Fading foliage in the tree is often the first sign of a beetle attack. 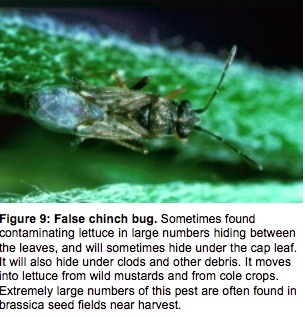 Prevention is best practiced since control is not possible once the beetles have successfully colonized the tree. Colonization is dependent upon trees being in a vulnerable condition caused by stress from various agents and site conditions. Revised 10/2014. Originally Published 2002.
his document is intended to help you develop an implementable IPM Plan for your school or school district. We have provided a modifiable template which can be downloaded at: http://cals.arizona.edu/apmc/westernschoolIPM.html#pubs. The roof rat, or black rat (Rattus rattus) is an Old World rodent species not native to North America that was identified in a Phoenix neighborhood in 2001. It poses both a health and safety hazard. The roof rat is implicated in the transmission of a number of diseases to humans, including murine typhus, leptospirosis, salmonellosis, rat-bite fever, and plague. It is also capable of transmitting a number of diseases to domestic animals and is suspected in the transference of ectoparasites from one place to another. In addition to consuming and contaminating stored food and feedstuffs, roof rats will gnaw on wiring (posing a fire hazard), and tear up insulation to use it for nesting material. The rats will feed on the fruit and vegetative portions of many landscape and garden plants including the bark of trees. Their feeding and gnawing may completely girdle young trees. Roof rats will often eat the pulp from oranges while the fruit is still hanging on the tree, leaving only the empty rind. Commercially available sonic pest devices for use in residential applications have not been shown to be effective in scientific studies. For this reason, use of these devices is not advised to treat common pest problems. Although some researchers are developing sonic techniques that illustrate promise for very specific pests, these technologies are yet to be commercially available. As our understanding increases of how pest species receive and process sound, more relevant sonic devices may be developed. The allure of sound as a treatment for pests will remain into the future-motivated by the fact that if they are successful they will be more environmentally friendly and safer for humans. Termites are considered Arizona's number one urban pest. All termites can be placed into 3 broad categories based on their habitat: damp-wood, dry-wood and subterranean. In Arizona, damp-wood and dry wood termites are not major wide spread problems but can be under selected conditions. Subterranean termites on the other hand are considered one of our major urban pests. Detection of the presence of termites in many cases can be difficult to do. A discussion of construction practices is presented to keep termites from invading your home. Control technologies such as a pre and post-treatment using a termiticide, physical barriers and baiting systems are presented. There is Something Bugging Me - Or is There? It is increasingly common for people to report symptoms of itching and skim problems which they attribute to bug bites even when no evidence of insects can be found. Potential causes for this phenomena are identified as well as a referral to a primary care provider for diagnosis and treatment. Rainscapes are the ultimate in water efficient landscaping. Rains capes are beautiful landscapes that once established rely entirely on rain and stormwater (gray water too if available)while preserving tap water for indoor and drinking water needs. This fact sheet is written for the layperson and emerging professional rainwater installer to familiarize them with the components of an active rainwater collection system for non-potable outdoor use. This fact sheet is written for the layperson and emerging professional rainwater installer to familiarize them with the components of a passive rainwater collection system in a landscape. Harvested rainwater offers a way to help offset the use of potable water for urban landscapes in Maricopa County, where up to 70% of a household's water consumption can be devoted to outdoor use. This Quick Guide will inform readers of passive and active types of rainwater harvesting and where to go to learn more about rainwater harvesting. Additionally, a list of rainwater harvesting demonstration sites throughout the Phoenix Metropolitan Area will be listed. Lastly, this publication will provide a list of materials and general suggestions of where to buy them (no specific stores to be mentioned) if someone wants to start a rainwater harvesting project at their home. This publication includes general rainwater harvesting information along with information specific to Maricopa County. Urban run-off is created by rain, snowmelt, or irrigation water flowing across sidewalks, drive ways, roadways, and other surfaces into storm drains. All storm drains empty into rivers or river beds, lakes, streams, washes, and other storage areas often without treatment. The Urban Run-off (Non-point Source Pollution) Tip Sheet will educate the reader on urban run-off and associated water pollution. The tip sheet explains the causes, effects, and sources of non-point source pollution. It also provides information on what can be done to prevent urban run-off and water pollution. It includes both general information as well as information specific to Maricopa County. This list suggests some plant species which seem to be less palatable to deer and rabbits. The reasons for using vines in the landscape are many and varied. First of all, southern Arizona's bright sunshine and warm temperatures make them a practical means of climate control. Vines add a vertical dimension to the desert landscape that is difficult to achieve with any other kind of plant. As design elements, vines offer an exciting array of plant forms, textures and floral effects. Before selecting a particular vine, determine your landscape needs. The type of structure to be covered and the climbing support offered will partially determine what type of vine to choose. Landscaping is the finishing touch to your backyard oasis. Your pool will be even more inviting when surrounded by the right plants. This publication provides guidelines for selecting plants that work well with your watering regiment and also lists the name of plants that will thrive in Arizona's hot weather. This publication lists laboratories that provide soil, plant, feed, and water testing within the state of Arizona. Revised March 2015. Nitrogen management is a critical part of crop production and soil management. This publication provides an overview of the chemistry and biology of soil nitrogen, nitrogen fertilizers, and nitrogen management. This publication describes the benefits of composting and provides practical instructions on how to produce compost on a small scale in the low desert. Site and container selection and troubleshooting the compost pile are also covered. This publication provides information on techniques of soil sampling and analysis for horticulture and agriculture. Soils are sampled to determine physical conditions, fertility (nutrient) status, and chemical properties that affect their suitability as plant growing media. Through a combination of field and greenhouse research, analytical methods have been developed which provide quantitative estimates of plant-available nutrients. Field research determines the optimum soil test levels for various nutrients for specific soil and crop combinations. Optimum fertilizer practices can be determined by knowing the optimum test level of each nutrient for a specific crop and soil, and by knowing how much fertilizer is required to change soil test values. Revised 10/2011. Originally published: 2006. Soil aggregate formation and stability, the primary features of soil structure, are two of the most important manageable soil physical properties. Water, air, and roots primarily move between soil aggregates, which are clumps of soil particles cemented together. The pores between aggregates are fairly large, whereas the pores between particles within aggregates are often too small for effective water movement or root penetration, and sometimes even too small for bacteria to enter. In all but the sandiest soils, good aggregate structure is required for adequate root penetration, water infiltration, air exchange, and soil drainage. Revised 8/2012. Originally published: 2006. Gardens provide excellent quality vegetables for freshness and for processing if the crops are supplied with an adequate level of nutrients and water. Fertilizing with manures or other organic fertilizers versus �chemical� fertilizers is discussed. Advantages and disadvantages of various types of fertilization application are covered. Sections on the use of nitrogen, phosphate, micro-nutrients and soil amendments in the garden are included. Revised 10/2014. Originally Published 1999. Revised 02/2015. Originally published 09/2007. Author: DeGomez, Tom; Oebker, Norman F.; Call, Robert E.
Local information on evapotranspiration (ET) is now readily available from on-site weather stations and/or public weather networks to assist turfgrass professionals with irrigation management decisions. Proper utilization of ET information can provide accurate estimates of daily water use and thus can assist irrigation managers with the all important decisions of when to apply water and how much water to apply. The concept of ET can be confusing and often is presented in a highly technical manner. The objective of this and subsequent bulletins in the Turf Irrigation Management Series is to simplify the subject of ET and thereby increase the effective utilization of ET in irrigation management. This bulletin provides some basic background on the related subjects of evaporation and evapotranspiration. Drip irrigation is the slow, measured application of waer through devices called emitters. Now a wide variety of quality products has been developed to make drip irrigation reliable and easy. Successful Xeriscapes start with good planning and design. This brochure will help homeowners and landscapers design landscapes that are attractive, low water and low maintenance. The Tips for Arizona's Rural Landowners Fact Sheet Series is intended to educate homeowners who have recently purchased small acreages in Arizona. The purpose of the series is to give homeowners information about living in rural settings. The Plant Unit includes fact sheets on Arizona's native plant law, small-scale gardening, pasture establishment, invasive plants, and assessing plant damage. 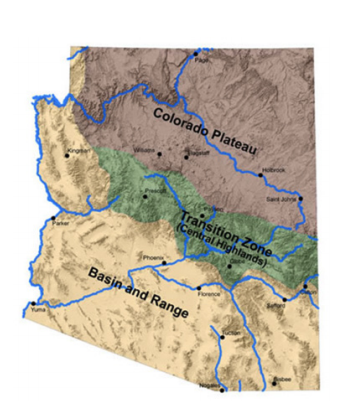 This publication addresses four invasive, nonnative thistles found in Arizona which have been become, or have the potential to become problematic. These thistles are native plants of Europe and Eurasia, and have no known natural enemies or control vectors in Arizona. Each competes with and can displace native plant species. This publication includes photography for identification, as well as their habitat, impacts and reproduction. By increasing our awareness, all of Arizona�s residents can play an important role in controlling noxious weeds and those with the potential to become harmful to our state�s economy and ecology. Weedy spurges of the genus Chamaesyce are difficult to control due to their rapid life cycle and small seed size. Four species are common in managed Arizona landscapes and garden and include Chamaesyce albomarginata, a perennial species; C. prostrate, C. maculata and C. hyssopifolia which are annual species. Irrigation management, the use of coarse organic mulches and maintaining vigorously growing turf are cultural methods of managing spurges. Hand weeding and soil solarization are mechanical measures that can reduce spurge pressure. Judicious use of chemical herbicides are also useful tools in an integrated spurge management plan. The noxious weed problem in the western United States has been described as, a biological forest fire racing beyond control because no one wants to be fire boss. Indeed, when small weed infestations are left unchecked, they can grow exponentially and spread across the land much like a slow-moving biological wildfire. However, land consumed by fire usually recovers and is often more productive than before the fire occurred. On the other hand, land consumed by noxious weeds may be irreversibly changed and never again reach its full biological potential. Bats, order Chiroptera, have traditionally been maligned and misunderstood by the general public. Bats are, however, important components of the natural and urban landscape; they provide valuable pest control of public health and nuisance insects, and they serve an important role in the pollination of several of Arizona's native columnar cacti. In urban environments, particularly schools, bats are of concern due to their ability to vector the rabies virus. Consequently, the status of bats of bats in schools has become that of a pest. Integrated pest management (IPM) methods have traditionally been reserved for managing arthropods; however, the fundamental principles of urban IPM may be just as easily applied to mammals with equal success. The ecologically sensitive aspects of IPM make this a highly preferred approach in managing bats as an organism of considerable conservation concern. The following are guidelines for the safe handling of foods grown in school gardens for use in the school cafeteria. Following these guidelines will help reduce contamination from pathogens and maintain a safe environment for children, volunteers, and teachers who work in the garden. Prior to using the food items in the school cafeteria, school gardens will need to implement these guidelines and have the garden certified by the Arizona Department of Health Services (ADHS).